Lloyd’s Banking Group is reportedly poised to announce the appointment Morteza Mahjour, former chief information officer of the Royal Bank of Canada, as the British financial institution’s new CIO. The long-time RBC executive will replace former director of IT Daryl West who left Lloyd’s in November last year to join its rival Barclays PLC. 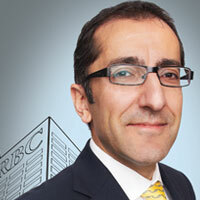 Mahjour was with RBC since 1986 where he held a series of technology operations and systems management and executive positions. Lloyd’s is hoping that Mahjour will oversee the overhaul of its aging computing infrastructure, according to a report from the United Kingdom-based online technology publication Computing. The bank has suffered a series of system glitches and breakdowns in recent years which prompted the local financial regulatory body to launch a probe into Lloyd’s computer systems.